While Ireland's hopes of retaining the services of Declan Rice look to have diminished, the announcement of Martin O'Neill's most recent international squad carried with it an inkling that he has no desire to be burned again. Yet, in the case of the prodigiously talented Michael Obafemi, O'Neill may have less reason to worry than it may initially seem. Alongside first-time call-ups for three other promising young Irish players (Caoimhin Kelleher, Jimmy Dunne and Ryan Manning), Southampton's Obafemi is not without certain complications. Born in Dublin to Nigerian parents, there is the added dimension of the 18-year-old's London upbringing; a three-pronged international outlay of which you may suspect Ireland offers the least appealing path. An explosively fast forward with the convenient ability of finishing off the chances he is presented with, Obafemi has already made a sporadic breakthrough in the Premier League. Perhaps even more so than Rice, Obafemi could be a player the Republic of Ireland will not want to lose to more attractive suitors. Most recently appearing for the Republic of Ireland U19s, Obafemi's call-up into the senior squad has the look of a move on O'Neill's behalf to put the question of the forward's international allegiance to bed. Eligible to play for England, it is highly unlikely that an international call-up from Gareth Southgate will be in the offing anytime soon. More problematic for O'Neill and the FAI is the lingering presence of Nigeria, and the designs they may have on a promising forward on the cusp of Premier League football. The reality is, however, that despite initial concerns Obafemi could be for turning, Nigeria have demonstrated little or no interest in the Southampton man, and, until recently, hadn't any clue of his existence whatsoever. Speaking to Balls, the Nigerian sports journalist Oluwashina Okeleji outlined why fears for Obafemi's future in an Ireland jersey are, in all likelihood, unnecessary. "Obafemi's name only popped up [in Nigeria] early this year after he made his debut for Southampton," Okeleji revealed. "Everything heard and written about the player has emanated from Ireland." 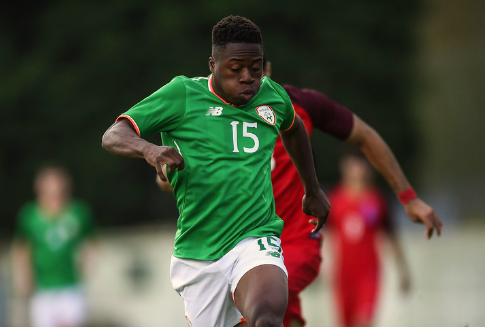 In truth, despite Obafemi's presence in underage Ireland squads, few Irish fans would claim to have heard much of the forward before his Premier League debut against Tottenham Hotspur last January. Yet, Okeleji is not so certain that even this development has inspired an active interest in Obafemi's international future within the upper echelons of the Nigeria Football Federation. "A top official of the NFF says he was never on their radar," Okeleji claimed before clarifying that no approach has been made on Nigeria's behalf for the Southampton striker. Furthermore, quoting an official from the technical and international department of the NFF, Okeleji revealed; "We are only hearing about him for the first time. The only Obafemi known to us is Obafemi Martins." A stance that should encourage some sense of comfort amongst Irish football fans, for the time being at least, Michael Obafemi's international future would appear to be destined for the green of Ireland, and not Nigeria. Should he make an appearance for the Republic of Ireland in the UEFA Nations League tie against Denmark, such concerns can conclusively be put to rest.